How to title a photo, a book or a piece of art? Sometimes in the case of the above photo, it’s easy. But do we really have to come up with catchy titles for pieces of art and photos? I know we do for books and newspaper articles. Books would look odd with a cover and no title. Plus how would you find them on the shelf or online? 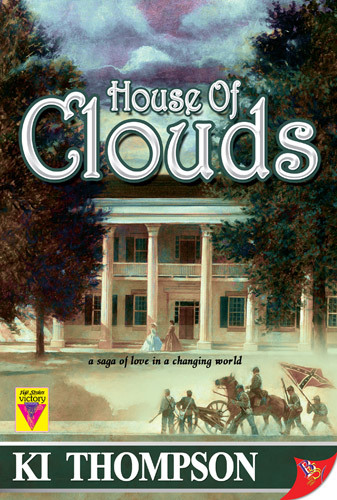 I’ll take for example House of Clouds by KI Thompson, a favorite of mine for obvious reasons besides it being an excellent historical romance. No title, no way to search for it. Very simple. Is visual art that much different? How many can name famous paintings or photos, even their favorites? Sure, the Mona Lisa. But name a Picasso, Ansel Adams, Monet or Matthew Brady. How do we search for these pieces of art? I love Ansel Adams and Monet, but at the moment I can only think of Water Lilies and El Capitan. I could do an artist search even though that may be exhaustive. But for a little known artist like me, this solution may not work. This next photo was also easy to name. Not very creative, but descriptive. So calling all artists and purveyors of art out there? How do you name your books, photos and paintings? How do you find a piece of art that you like but do not know the artist or name of the piece? Give me your thoughts on this. Photo titles preoccupy me especially after titling over 100 from Puerto Rico recently. All three of the above photos have already made it to a wall in our house-the quickest ever from creation to print to hung! Enjoy this week’s photos. Please check out my new abstracts under the heading at the top, Photography in Abstract. And let me know your thoughts on today’s questions. And as always, thank you for supporting my work. This entry was posted in Abstracts, Kathi Isserman Photos, Photography, Puerto Rico and tagged El Yunque National Forest, Kathi Isserman, KI Thompson, National Parks, Photograph, pigeons, Puerto Rico, San Cristobal, San Juan, Travel and Tourism, waterscapes. Bookmark the permalink. Kathi, as usual your photos are breathtaking. The first two have such vivid color and the pathway photo is cool and delicious in tone. Congratulations. Thanks Beth for your continual support of my work. KI and I hung them up already so if you ever get this way, you can see them on the wall! Gorgeous photos! You really have an eye. Love these photos. The lighting is superb! Thank you Anne. It helps to get great lighting when you carry your camera for 7 hours a day for seven straight days. Makes it so much easier to get the “great” shots.